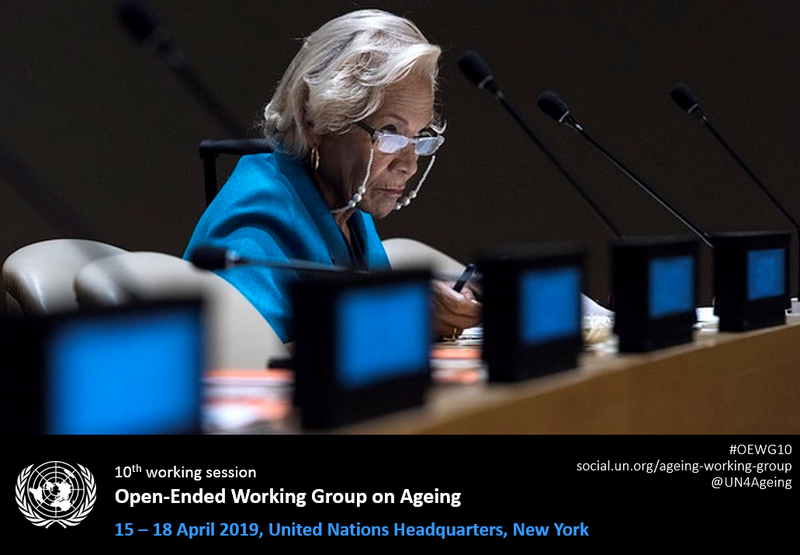 The Open-Ended Working Group on Ageing was established by the General Assembly by resolution 65/182 on 21 December 2010. The working group will consider the existing international framework of the human rights of older persons and identify possible gaps and how best to address them, including by considering, as appropriate, the feasibility of further instruments and measures. Follow-up to the Second World Assembly on Ageing. The Tenth Working Session of the Working Group will be held from 15 to 18 April 2019, in Conference Room 4, at the United Nations Headquarters in New York. Click here to access Ageing Social Policy and Development Division web site.